Because each project provides its own unique challenges, no singular project delivery method consistently provides the best result for the project and owner. VSM Engineering excels at the fast paced, alternative project delivery methods that deliver innovative, superior projects in a compact timeframe. 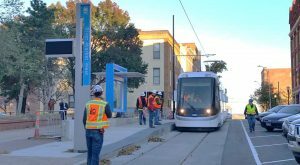 Delivered Construction Manager at Risk (CMAR), VSM Engineering prepared the Stormwater Pollution Prevention Plan (SWPPP) for the Kansas City Streetcar Construction Project. The SWPPP covered a variety of construction sites and stormwater protection issues along the 2.2 mile corridor. VSM worked to train the local inspectors on how to properly conduct weekly SWPPP inspections. Throughout 2014, VSM conducted audits of these SWPPP inspections to ensure they met all requirements. Beginning in 2015, VSM staff completed all of the weekly and rainfall SWPPP inspections. VSM has QPSWPPP certified staff with the ability to prepare SWPPP documents in compliance with the National Pollutant Discharge Elimination System (NPDES) permit program; the staff is also credentialed QCIS which qualifies us to inspect and maintain construction sites for stormwater compliance. Under the KCMO Construction Management Program, VSM Engineering provided construction inspection services for the stretch of Belvidere Parkway from Congress Avenue to Route 9 Highway. 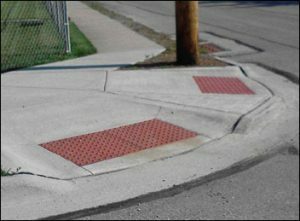 Elements of this municipal Design-Build project included grading, concrete paving, landscaping, ADA ramps and signing and surfacing. VSM performed the wage rate interviews and analysis as well as inspections of water service lines, concrete pavement, driveways, curbs and landscaping. 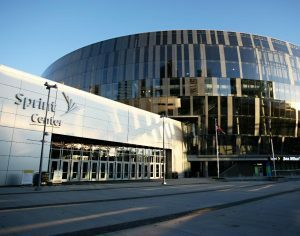 Delivered Construction Manager at Risk (CMAR) VSM worked as part of the team that provided project site design including water, stormwater, sanitary sewer and surface parking for this 18,500-seat, 650,000 SF arena complex. VSM designed the 12-in and 8-in combination fire and domestic water line to serve the Sprint Arena and adjacent NABC building. The project included a large meter vault and meter assembly including backflow prevention.